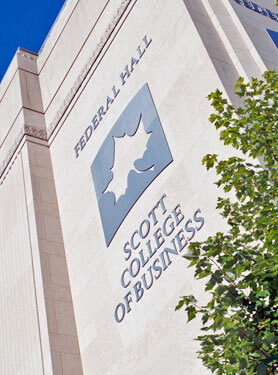 If you are a Networks Professional Development Program alumni then you have the opportunity to reconnect with your fellow alumni and meet the current scholars during a casual luncheon in the Scott College of Business. Alumni Speakers Panels will be held following the lunch, and will be open to all students in the college. 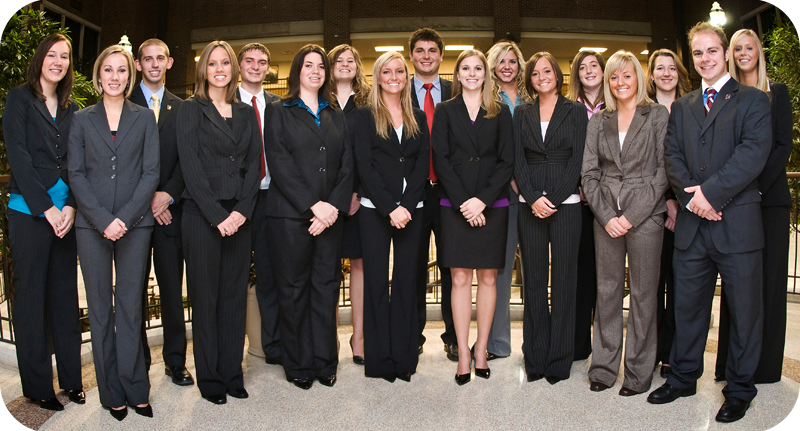 Current scholars and other business students will benefit by hearing from alumni regarding their careers, the transition from college to the professional world, and any guidance they would offer to current students. Serving on one of the alumni speakers panels is optional, but we would welcome all who attend the luncheon to participate. Speakers Panel 2 11:15 a.m.
After - Enjoy Indiana State University's Homecoming Weekend! Complimentary parking will be in the garage on Cherry and 7th Streets. Your pass will be validated when you check in. Dress is business casual. Your spouse, partner or significant other is welcome. We are excited to offer this time for you to catch up with old friends and colleagues as part of the Homecoming activities.